A US optometrist has said that people who have had difficulty in finding or wearing contact lenses in the past can make use of new products. Speaking to Naples Daily News, Dr James R Seibold said that people with severe astigmatism or myopia, or who have dry eyes, have options available to them now. "With the proper fit, design and new materials, there are very few people we can"t fit, if they want to get into contacts," he said. Dr Seibold also said that a popular option is to choose extended-wear contact lenses instead of laser eye surgery. The optometrist runs the Wal-Mart Vision Centre in Naples, Florida. 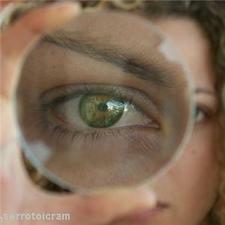 Recently, new contact lens technology was reported by thinkspain.com. It covered the story of Dr Celia Sanchez Ramos, a Spaniard who has invented a yellow filter for contact lenses to shield eyes from harmful rays. Dr Ramos claims that the filter does not change the wearer"s vision of colours and that the yellow hue is not visible when the lenses are worn.